Tropical island… check! Beautiful beach… check! Sunset… check! 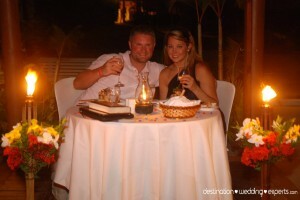 The stage is set for sharing the ultimate romantic experience on your honeymoon, a romantic Sandals candlelight dinner for two. 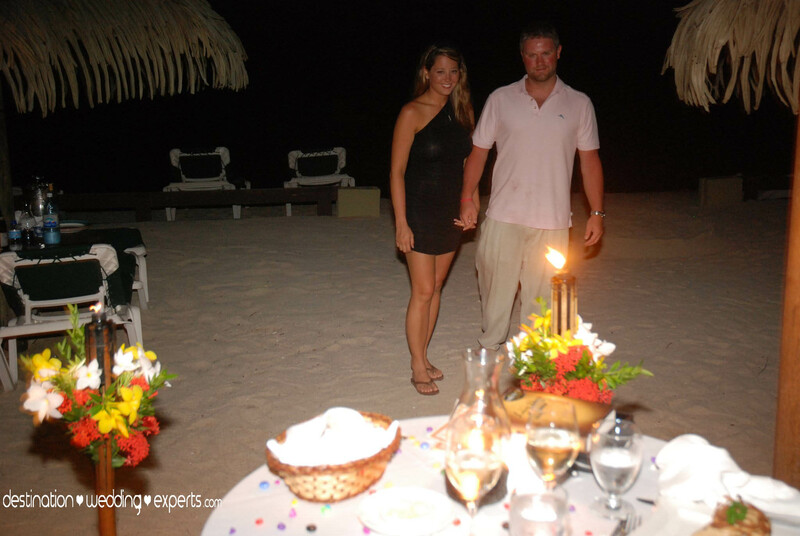 At Sandals Luxury All-Inclusive Resorts you can enjoy a private sunset dinner for two under the stars, complete with a candlelight and floral arrangement. Your personalized four-course meal will be served by a private white-glove waiter and accompanied by house champagne. You can even add a private musician for that special touch. These dinners book fast so we suggest making reservations early! If you’d like to experience a Candlelight Dinner with your sweetheart at any Sandals Resort just let us know and we’d be happy to add this to your reservation. 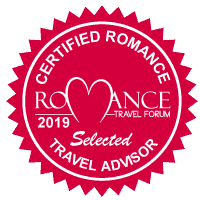 And if you haven’t booked your Sandals Resorts getaway yet we can help with that too, just complete our quick online quote form and one of our Experts will be in touch.